Apr. 3	A Homegrown Anthology Segment: Humorous and Novelty Songs. Two days after April Fools Day, Homegrown Music presents some appropriate music. Producer George Graham digs into the Homegrown Music archive to present a collection of funny, satirical and downright weird songs by regional artists. Apr. 9	A Homegrown Music Live Jazz Concert with the SKIP WILKINS QUINTET and the ERIC MINTEL QUARTET. This month's Homegrown Music Concert-Broadcast presents an evening of great jazz piano from two Eastern Pennsylvania jazz artists with their groups. Pianist and composer Skip Wilkins is from Easton, PA, where he is on the faculty of Lafayette College. A New England native, he came from a musical family and has been performing from an early age. Over the years, he has performed with many well-known jazz artists, including Conti Candoli, Milt Hinton and Peter Erskine. This quintet is his latest project. It features outstanding Eastern PA musicians, including saxophonist Paul Kendall, guitarist Tom Kozic, bassist Tony Marino and drummer Gary Rissmiller, most of whom are familiar figures to fans of Homegrown Music. The group marks the release of their new CD The Skip Wilkins Quintet Volume 2. The group will be spotlighting Wilkins' original compositions. Pianist Eric Mintel is a resident of Bucks County in Southeastern PA, and has been leading his quartet since 1993. Among his gigs was a performance at the While House for President Clinton in 1998. He was also a guest on NPR's Piano Jazz with Marian McPartland. 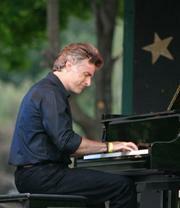 Long a student of the music of Dave Brubeck, Eric has had an opportunity to open for Brubeck in 2005. His current quartet includes saxophonist Nelson Hill, bassist Dave Antonow and drummer Dave Mohn. They will also be featuring original music along with jazz standards. As usual, WVIA's listeners are invited to attend the concert-broadcast at the station's Public Broadcasting Center headquarters. Free audience seating is available by advance reservation on a first-come-first-served basis. Phone 570-655-2808 to reserve seats for the two-hour 8:00 PM concert. In addition, a special pre-concert reception will be held for WVIA's supporting members at 7:00 PM. Reservations may be made by phone at the above number. (Note: Broadcast start time: 8:00 PM). Apr. 10	One Star Hotel. 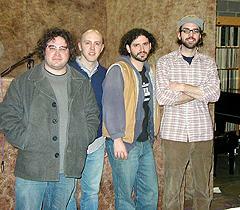 A fine band from Southeastern PA, the group is known for their strong writing and classy understated musicianship. They serve up original roots rock with a touch of British-invasion influence in this encore of their 2005 session for Homegrown Music. Apr. 17	Laura Brereton. An outstanding singer-songwriter who grew up in Northeastern Pennsylvania, Laura Brereton is now a resident of the Boston area, but she returns frequently to her hometown. During her last trip, she stopped by Homegrown Music to perform a new collection off her appealing original songs. Apr. 24	Kris Kehr and Bill Stetz. 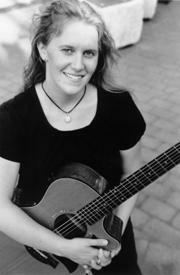 Kris Kehr is a long-time Homegrown Music veteran with more than a dozen appearances on the series, both solo and with groups ranging from the eclectic bluegrass group Pavlov's Dawgs to the early incarnation of the Electric Farm to the roots rock of the Stone Poets. 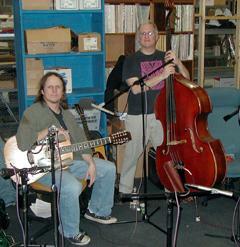 This 2004 duo session with State College-area bassist Bill Stetz features folk-influenced original acoustic music.